Occasionally, as if by chance, books appear shortly after each other which address the same theme. It may be chance, but sometimes there will have been a common source – an event, an idea, a discussion or debate – which touched both authors at the same time a couple of years before the books were published. Julian Barnes (in The Sense of an Ending) deals with the (un)reliability of memory as the central theme of his novel. 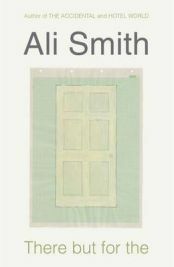 And Ali Smith in There But For The addresses the same issue, though for her it is just one of several themes and, typically, it is dealt with in a very different way. Mark (one of the central characters) is haunted by the voice of his dead mother, who speaks to him mostly in rhyming couplets: “Say that a man is fully formed by not / just what’s remembered also what’s forgot”. Mark has attended a dinner party at the house of a couple whom he does not know well and is accompanied by a recent acquaintance, Miles.